Those four words sum up the work of Jeremy E. Smith. As a Musician, I have played all over the country in groups such as Orchestra Iowa, the Huntington Symphony Orchestra, the King’s Brass, the Youngstown Symphony, and the Mansfield Symphony Orchestra, Vaughn Wiester’s Famous Jazz Orchestra and other musical ensembles. As a Blogger, I began my first blog back in 2007 when I started to write about life and my journey to the trombone section of an orchestra. Over time, that first blog morphed into this current blog. I mainly write posts that relate to music as well as other topics that are interesting to me. In 2014, I saw a need in the brass music world for a website that would be a resource for musicians to find links to other brass artists as well as upcoming auditions. In four years, Last Row Music has become one of the most visited websites to find the most recent brass auditions throughout the world. 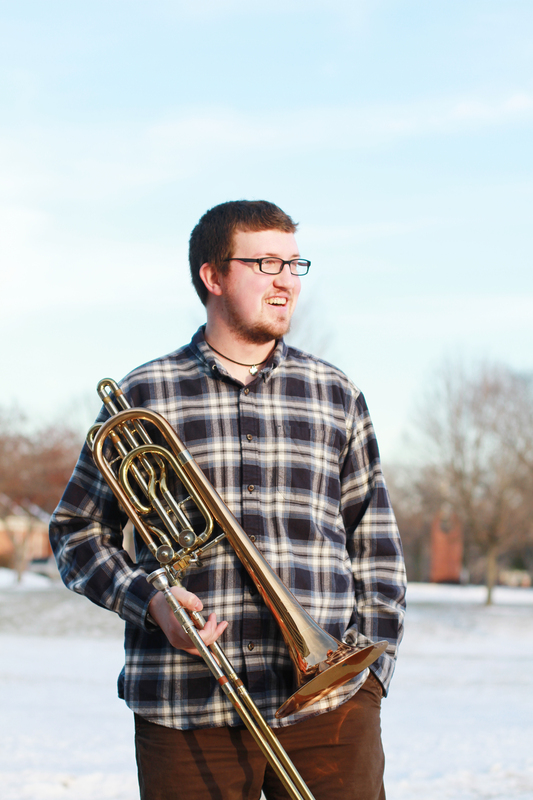 Music has also allowed me to become a Brass Educator where I have given masterclasses at Marshall University, the North Carolina Trombone Festival, and have been a guest artist at Ohio University. Currently, I teach trombone at Ohio Wesleyan University, low brass/brass chamber music at Kenyon College, and low brass at Mount Vernon Nazarene University where I also lead the jazz band. Since 2013, I have built my virtual lesson studio to include students ranging from 5th-grade trumpet players to 75-year old tuba students.